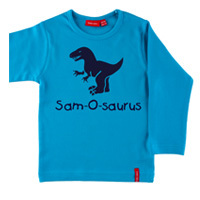 Six dinosaurs to choose from: a T-Rex to a Brachiosaurus! 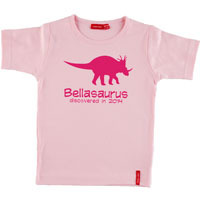 Dinosaur T shirts are a BIG hit with all children! 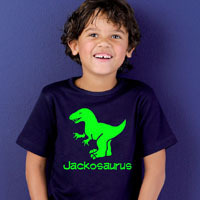 We have 6 dinosaurs to choose from; a T Rex, Brachiosaurus, Triceratops, Stegosaurus, Pteradactyl and a young Dinosaur. 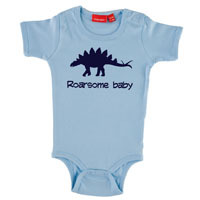 Once you've selected the dinosaur then the fun really starts! 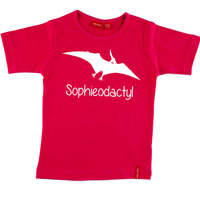 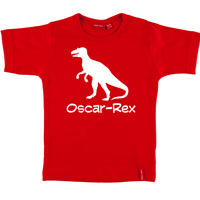 You can create any dinosaur name you like, add an 'osaurus' or a 'rex' or even 'atops' or 'adactyl' this really makes the t shirt unique. 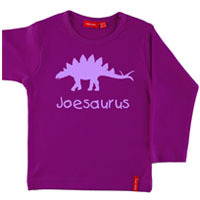 As with all of our other products you can choose the print colour and the font style for the text, creating a truly unique item. 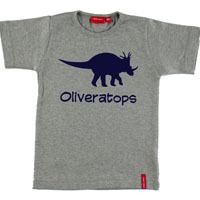 We even have one dinosaur where you can add an extra line of text for a 'discovered in 20..' making the t shirt extra special. 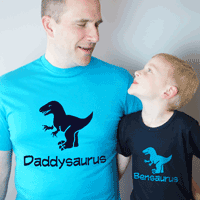 These t shirts are the perfect gift, they wont want to take them off! 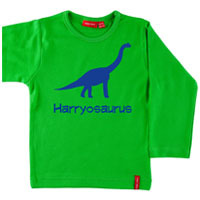 Tip: If you would like an extra line of text for 'discovered in ....' on one of our other dinosaurs just ask as we can always add this for you.